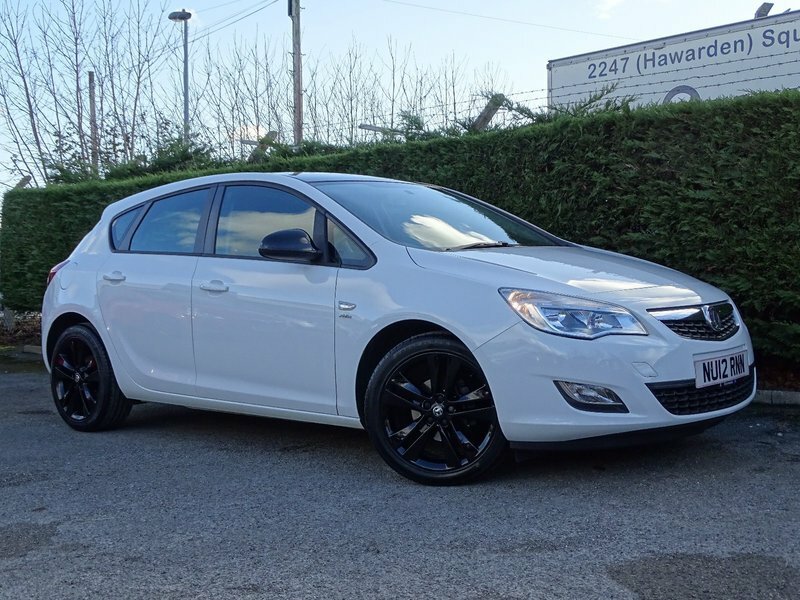 Well kept Vauxhall Astra Active limited edition , 2 previous owners, 2 keys. Half leather seats. MOT , 12 months AA basic breakdown cover, 3 months Warranty , Pdi inspection and service. We are a Flintshire trading standards and AA cars approved car dealer , J.M Motors have been helping customers buy quality reliable used cars in Hawarden, North Wales for over 38 Years. On site servicing and workshop facilities ensure all our vehicles are prepared to the Highest Standards. Visit our Website for a full stock list www.jmmotorshawarden.co.uk or Find us on Facebook search : JM motors Hawarden where you can read more reviews, 17in Alloy Wheels with Locking Wheel Nuts, Air Conditioning with Air Recirculation, CD 400 - CD/MP3 CD Player/Stereo Radio with Aux-In Socket and Graphic Display, Cruise Control, Electrically Operated Front Windows with Safety Autoreverse and One-Touch Facility, Mobile Phone System with Bluetooth, Tinted Glass, USB Connection with iPod Control. 5 seats, White.